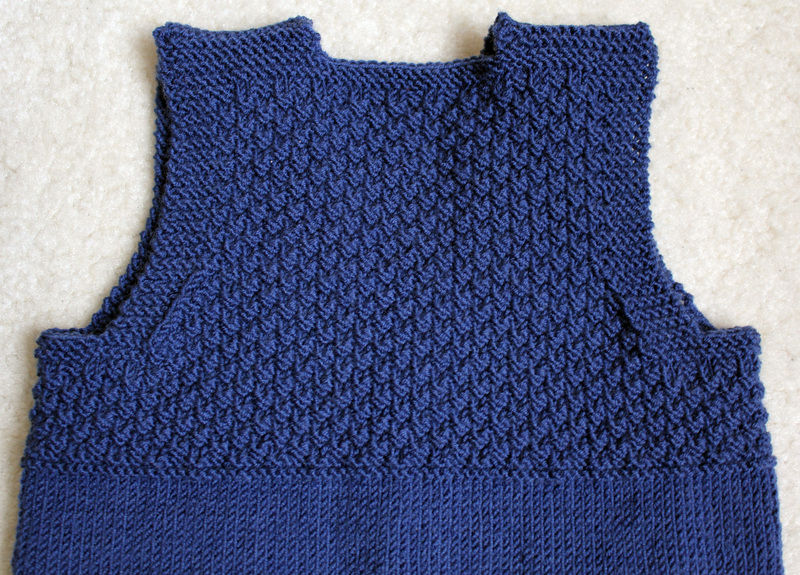 It’s the same pattern I used to knit Luke’s waistcoat and yes, it is indeed a DROPS pattern. 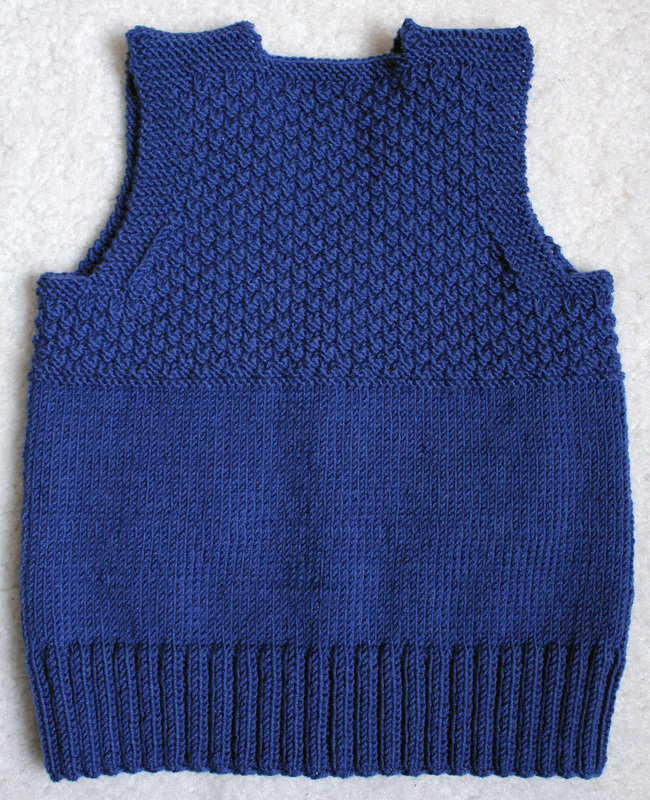 It’s a great knit and is finished relatively quickly, even though I made the 2 year size. I also like it because it’s knitted in one, so that means that the only sewing that needs to be done is the shoulders, the pocket slits and the buttons. 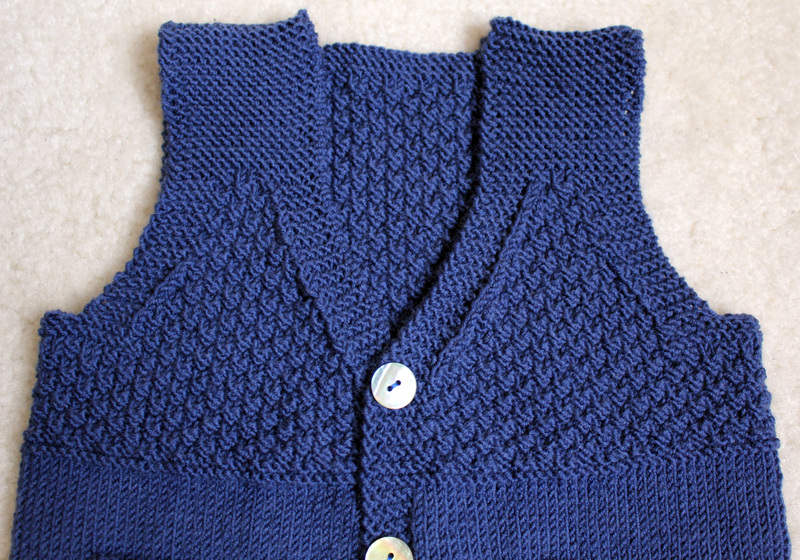 I love the effect of the moss stitch and I do think that it gives the waistcoat quite an elegant finish. I added some mother-of-pearl buttons and I think they also look very chic. As I mentioned Roberta and I are doing a swap. 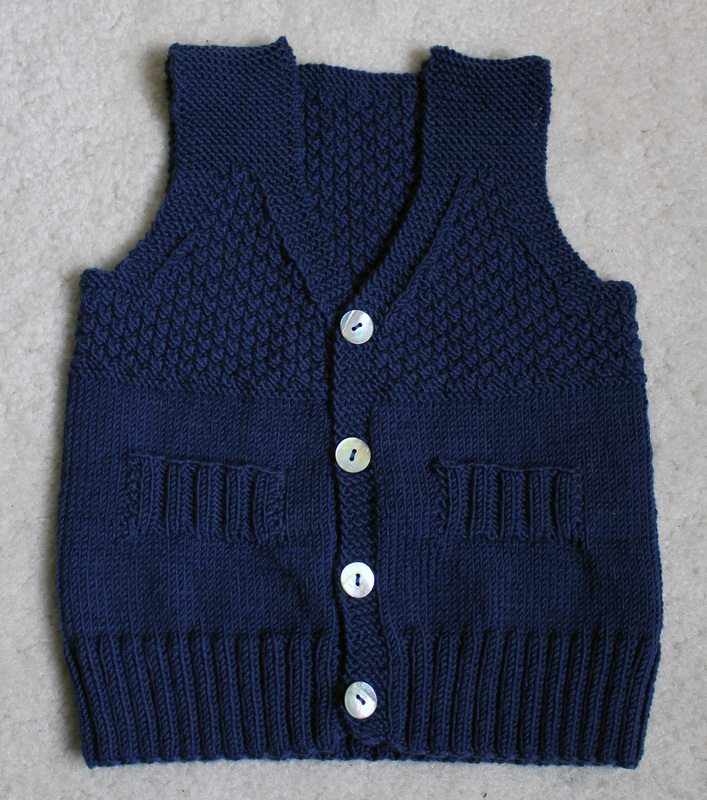 I’ve knitted this waistcoat for her gorgeous grandson Rowan and she’s sending me a romper for Luke. Do check out her website she makes the most amazing clothes for little boys and girls. I’m so excited to receive the romper and can’t wait to show you all a picture of Luke wearing it. 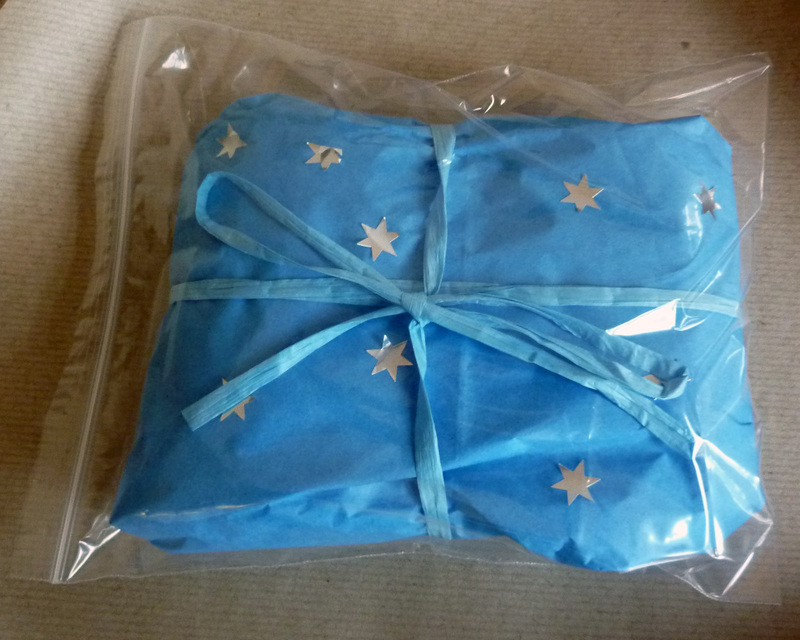 And here is the waistcoat all wrapped up nicely and ready to be packed up to be posted. This entry was posted on February 28, 2012 at 9:39 pm and is filed under Baby, Knitting with tags baby, baby boy, Luke, Rowan, vest, waistcoat, warm. You can follow any responses to this entry through the RSS 2.0 feed. You can leave a response, or trackback from your own site. It’s gorgeous. 🙂 I love that pattern and need to find a small boy to knit one for, I think! Love the vest and love the way you’ve wrapped it …. looks so nice. so sweet! it turned out perfectly! love the wrapping job as well.